My second attempt with the ice cream maker. This recipe is super easy as it is without egg yolks. 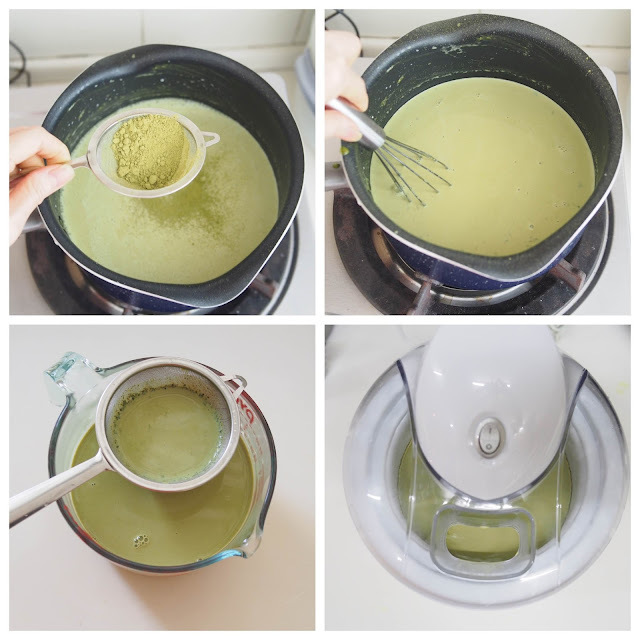 I added quite a lot of matcha powder, however I still couldn’t get the bright green colour as some store bought ice-cream. But, the green tea taste is strong enough, it makes me wonder if they use colouring? By the way, I am starting to understand that commercial ice cream usually uses stabilizers to produce a smooth and creamy texture and provide resistance to melting. So, homemade ice cream is always better for us to eat. Combine milk, whipping cream, corn flour, sugar and salt in a sauce pan and warm up the mixture. Sift in the matcha powder and whisk until well combined. Bring the cream mixture about to boil. Off the heat and let it cool. Strain the mixture through a sift to get a fine smooth ice cream. Cling film the bowl and let it chill in the fridge for 2 to 3 hours or overnight. Remove the frozen bowl from the freezer and turn on the ice cream maker. Pour the chilled cream mixture into the ice cream maker and churn for 20 to 25 minutes or until your desired consistency. Thank you so much for sharing this recipe. And it's without egg yolks. 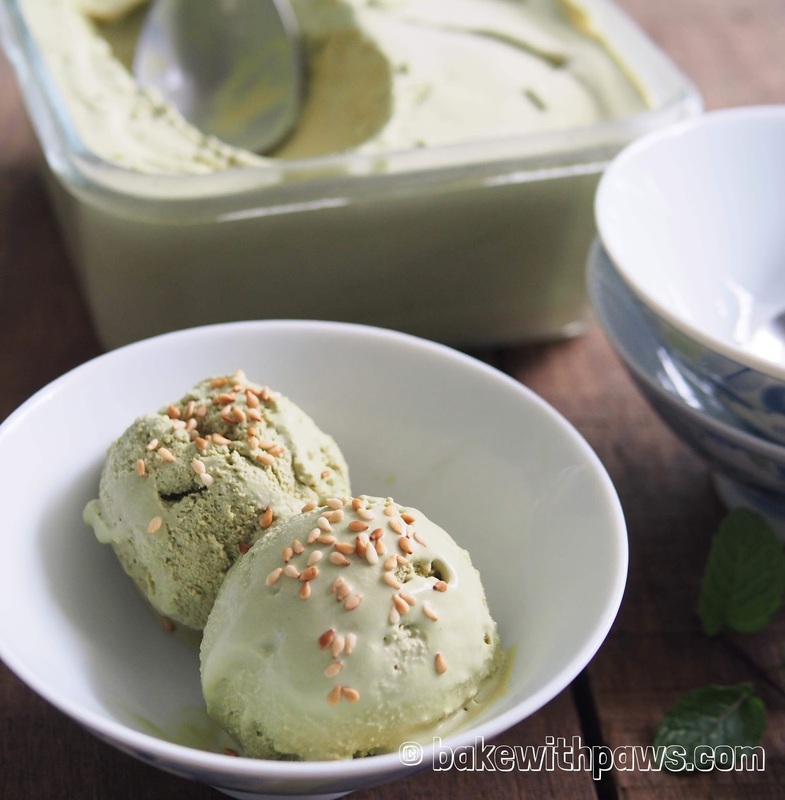 I used 3 tbsps matcha powder (20g) and it is enough to give me this beautiful Green Tea Ice Cream. And the sugar was a little under, but perfect for my liking. You are most welcome! Thank you for trying this recipe and I am glad to hear that you like it. I try to cut down sugar on all my cookings and bakings. Thank you for dropping by and your comment. Glad that you like my blog.